Potato growers in Idaho will now have the opportunity to learn about the presence of damaging fungal pathogens much earlier, thanks to the efforts of research staff at the University of Idaho. 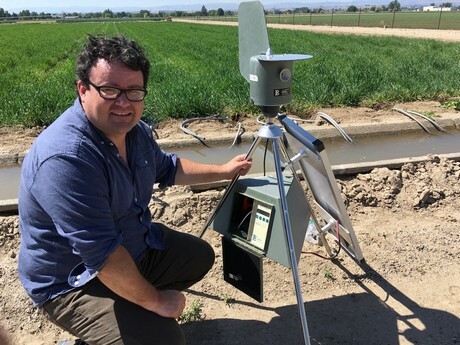 The research team, led by James Woodhall, have placed 14 spore samplers in potato fields across the Snake River Valley. Trials have been running for some time, and the first 'official' results will begin from this week, just in time for the potato season. "The spore samplers collect air samples over 24 hours for a period of seven days," Woodhall explained. "They are designed to detect the presence of fungal pathogens, such as potato blight, brown spot, white mold and grey mold. We have been doing trial runs which have been successful, and from this week, we will begin collecting results. The project will run up until the end of the Idaho potato season in September." Spore samplers have been around for a long time. 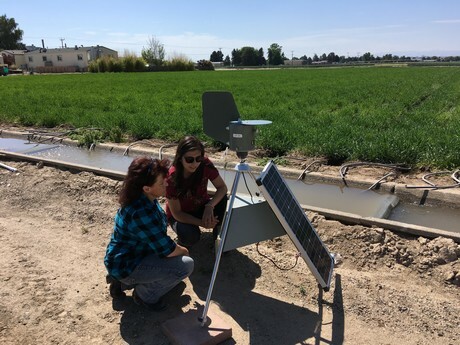 However, the difference with Woodhall's samplers is that they have the ability to collect, evaluate, and report air quality in a much more rapid rate compared with existing technology. "The technology has been around for years, but traditionally it could take a couple of weeks to collect, analyze and report the results," he said. "By that time, there is nothing much the farmer can do. The spore samplers we have developed have been refined enough to give repeatable results. More importantly, we can get results from them much faster, typically within 24 - 48 hours." The clear advantage of the rapid turnaround time is the ability for growers to actually do something about the results. Whereas previously, they had to wait for weeks while the pathogens potentially infested their crops, growers can now be much more proactive and apply preventative treatments before any damage occurs, as well as to know whether or not pathogens are present in the first place. "Growers can now be much more vigilant and spray fungicides sooner should they deem that necessary," Woodhall noted. "The samplers are well suited for use in Idaho where the presence of fungal pathogens is not easily predictable. There are times when conditions seem to warrant preventative spraying, and yet results suggest that spores are not always present. Therefore, having that real time data will enable growers to spray only when necessary." The next step will be to determine how broadly the pathogens are spread. "The science gap now is that we don't know whether the results are representative of that field, or the county or an even wider area," Woodhall added. "Down the track, further research will give us more data, which could potentially enable us to predict spore events before they occur, as well as estimate what areas will be affected." 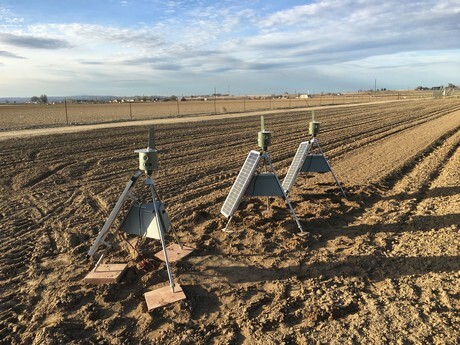 Much of the research has been funded by the potato industry in Idaho, and therefore the focus has been on potatoes in the early stages of the project. However, the results of the research may be able to be expanded to other crops that suffer from similar fungal pathogens. "We've been looking into sugar beets, testing for powdery mildew before symptoms become apparent," Woodhall shared. "We are also in the process of developing a test to detect fusarium in onions. Grapes are another potential crop to test for mildew, and work has already been done in that regard by Walter Mahaffee in Oregon. We'd like to extend the research to other fruit as well. However, this has an additional challenge due to the trees creating a wind buffer, as opposed to the open fields of the potato crops. We are working on a website currently which will gather the data and make them available for all crop growers to view in real time. It is hoped it will be up and running by the end of the summer." "Idaho was selected as a starting point and we have tried to get a good spread across the Snake River Valley," he continued. "The Idaho potato industry has helped drive the project, with growers and processors donating $80,000 towards the purchase of the samplers. This is a significant investment for them, so naturally they had a preference in where to place them. We have also received $16,000 from the Northwest Potato Research Consortium, who represents potato growers in Idaho, as well as Washington and Oregon. So we can see the potential for expanding the project into these states and we are very keen to do so."